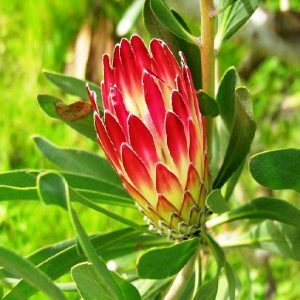 Protea are curious botanical novelties, which are used extensively in the exotic cut flower industry, with their dazzling array of size, shapes, colors they are florist dream. 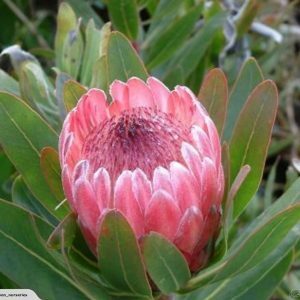 Native of South Africa 90% are found native to the area of Cape Floristic Region. 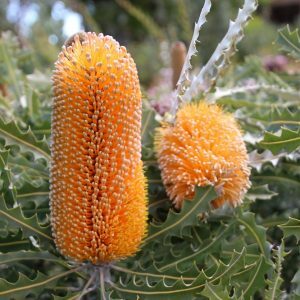 Leaves are spirally arranged around the stem and are usually tough and leathery. 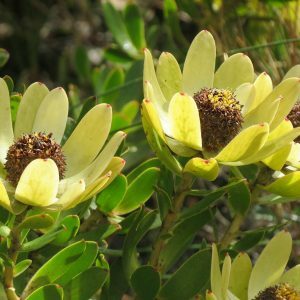 They may be rounded, paddle-shaped, saw toothed or needle like in shape with colors of dark green, blue green to gray green. 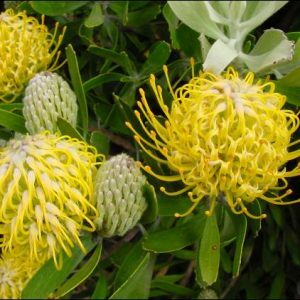 They have the ability to absorb moisture through their leaves which is essential in often dry enviroments. 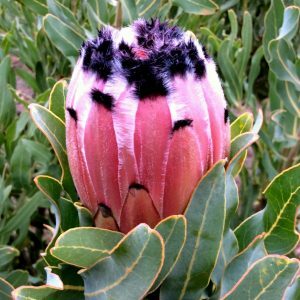 Protea flowers are very long lasting and can last for weeks after harvesting-cutting, sometimes they maybe dried slowly and can last for many years as dried arrangement. 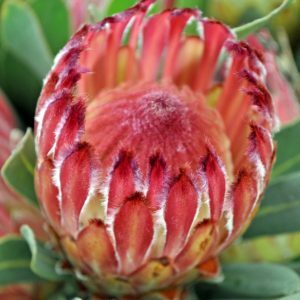 Protea need an open, sunny location and prefers an acidic soil that is gravelly, sandy and very coarse. 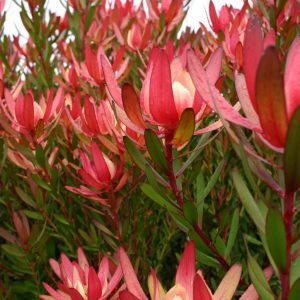 Height and growing habits can differ alot depending varieties or species. 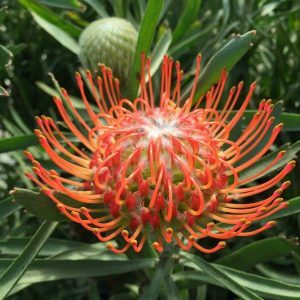 They grow extremely well in Southern California due to warm daytime temps. and cooler evenings.